Emaar Malls has submitted an $800 million bid to take over e-commerce giant Souq.com, the company has confirmed. In a bourse statement, Emaar Malls confirmed that it lodged the offer with Souq.com’s shareholders “in line with the strategy to align e-commerce with physical shopping”. The statement, signed by Ahmad Thani Al Matrooshi, said the bid has not been accepted as yet. 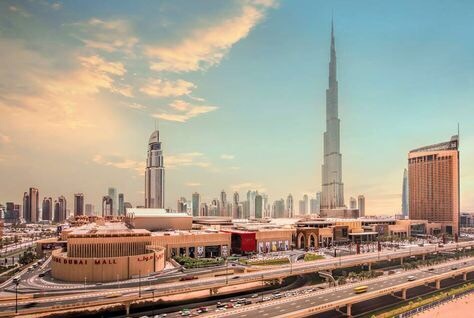 “If the bid is approved, the impact on Emaar Mall’s profit for the quarter in which the acquisition is completed and for the year 2017, will not be material,” the statement added. Quoting sources familiar to the bid, Arabian Business reported at the weekend that Emaar Malls, a unit of Emaar Properties, had lodged the bid to take over Souq.com, which is thought to have included a $500 million convertible deposit. Last week Amazon agreed in principle to a 100 percent takeover of Souq.com, in a deal believed be worth around $580m. However, it is understood that Souq has an “exclusivity” clause as part of its negotiations with Amazon – meaning it would not be able to accept a counter offer while still in sale talks. Sources suggest the Amazon deal is being driven by New York based Tiger Global Management which has a substantial stake in Souq. However, other small shareholders in Souq are yet to commit to a sale that could see Souq undervalued by almost $220 million, in comparison to the offer from Emaar Malls. Souq’s smaller shareholder include South Africa’s Naspers Ltd, Standard Chartered Private Equity, IFC (a member of the World Bank Group) and Baillie Gifford. Souq.com raised $75 million from Cape Town-based Naspers in March 2014, in a deal it said at the time was the largest for an Internet-based business in the region. But it is not clear whether Naspers is now backing the Amazon deal. Posted on March 27, 2017, in #international, #middleast, #retail, Other. Bookmark the permalink. Leave a comment.